The Ideal Home Show is currently taking place at Olympia, London and is on until 3rd of April. 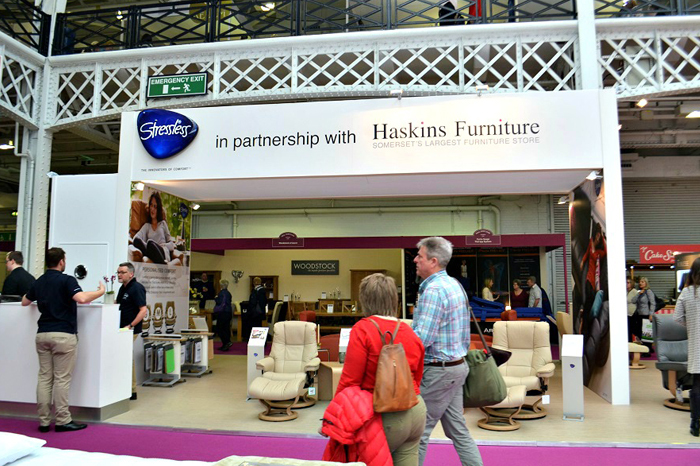 At Stressless, we have partnered with Haskins Furniture for a number of years to host a stand at this prestigious, hugely popular annual event. Once again, we have a great presence at the show. Our sizeable, welcoming display has certainly been catching the eye of the thousands of visitors flooding through this really impressive venue. New customers, and more than a few familiar faces, are making the most of this opportunity to experience the total comfort of our Stressless luxury leather recliners and sofas. 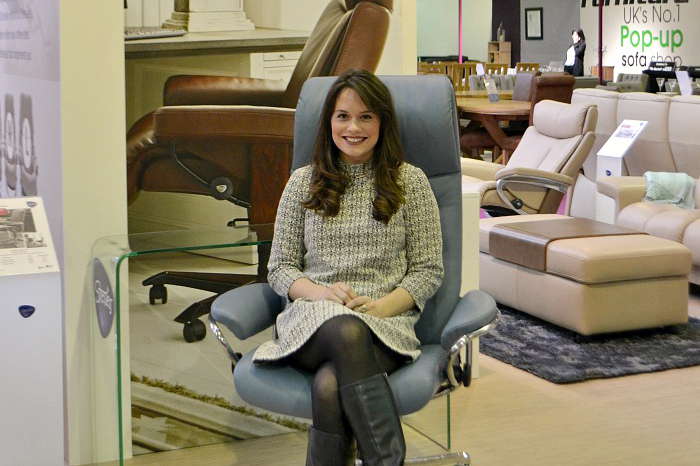 At Stressless we take great pride in the product training we offer our retailers and our passion for comfort is reflected by the very experienced, friendly experts we have on our stand, waiting and eager to answer your questions. 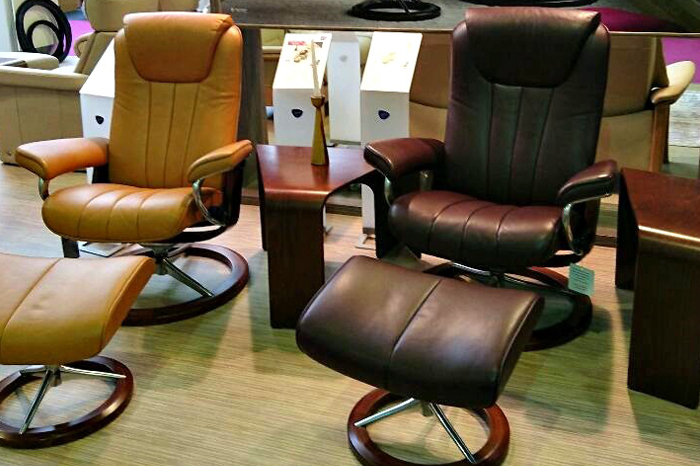 We have a wide selection of luxury leather recliners in small, medium and large waiting for you to try. Our goal is to find the luxury leather recliner or sofa that is perfect for you, something that you will enjoy for years to come. Our new ‘Signature Base’ has already been proving very popular with the crowds and the majority of customers have opted for it when ordering. 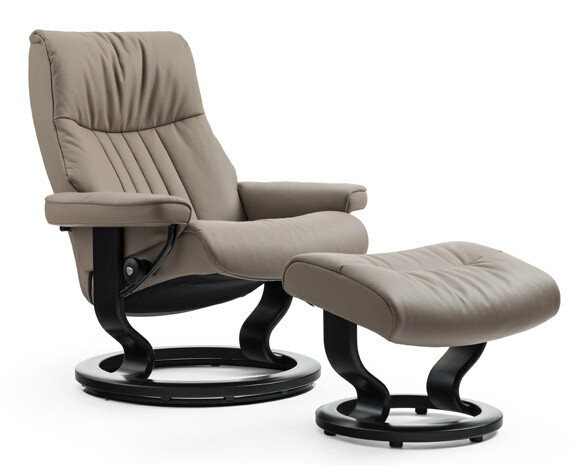 It seems that the contemporary styling of the Signature Base, along with the feeling of weightlessness that our unique BalanceAdapt feature gives has been a real welcome addition to the Stressless range. Watching customers recline almost flat, then seeing them enjoying the soft rocking motion that BalanceAdapt also offers has been great. You can almost see the stress draining from their bodies and more than one has nearly nodded off. Total comfort has never looked so effortless. Our brand new leather display has also proven to be a great success. 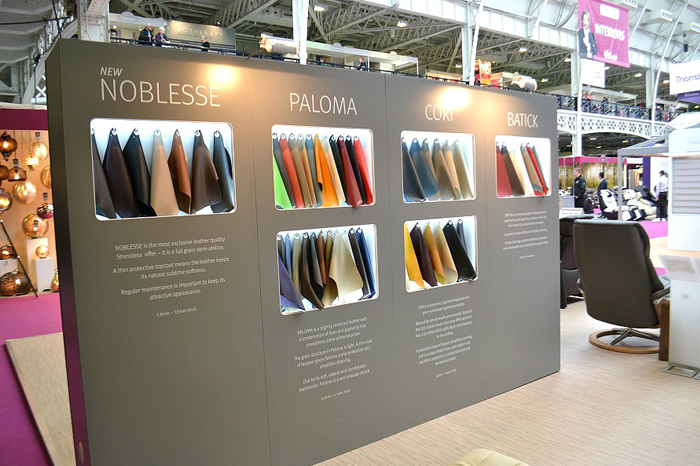 Seeing visitors get a real feel for the quality of the leather we offer, especially the latest addition to our luxury leather range, Noblesse, has been fantastic. The customer can appreciate our commitment to quality and the huge range of colours available, which reinforces the fact that we offer real choice. Whether you favour a bold or classic colour, there’s bound to be a shade of leather for you. 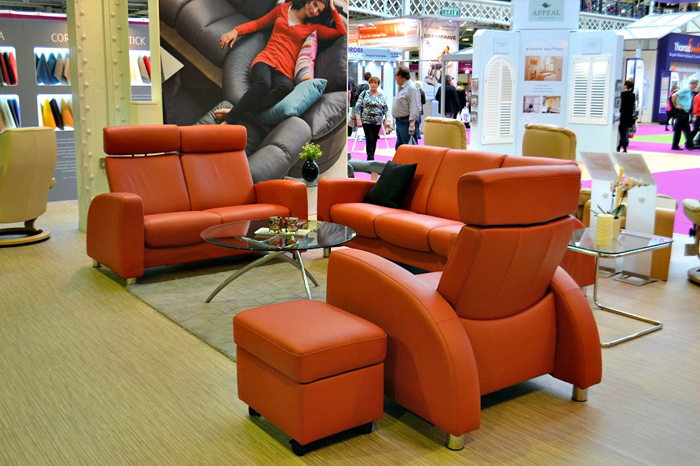 With various seating groups on display, we would love you to come and see us at the show. Relax in comfort in one of our luxury leather recliners or sofas, learn about the history and heritage of Ekornes Stressless, have a cup of tea and experience your very own Stressless life.